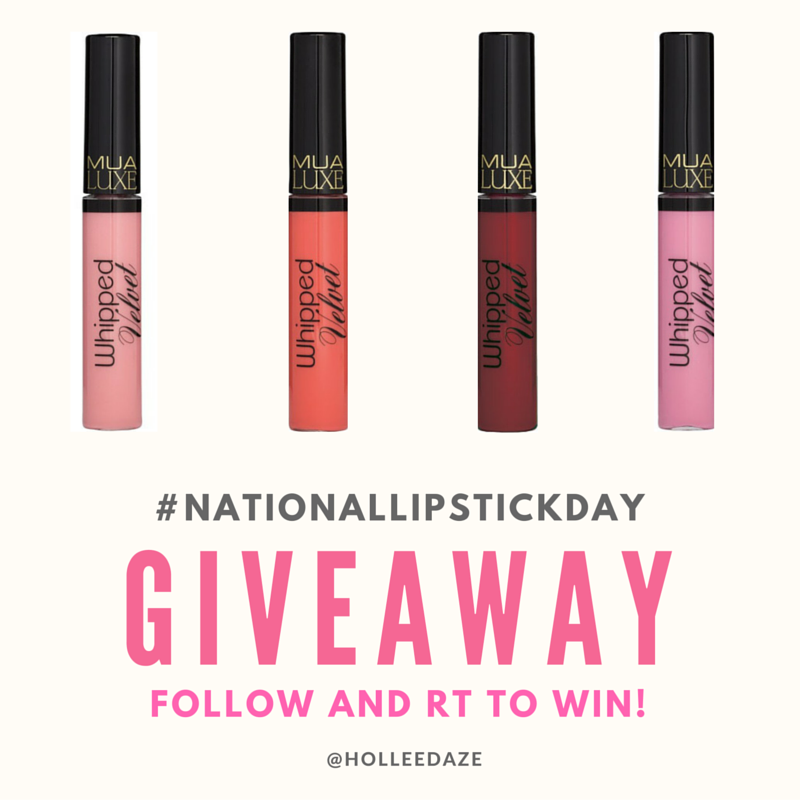 NOW CLOSED--- #NationalLipstickDay Giveaway! Win 4 MUA Whipped Velvet Liquid Lipsticks. 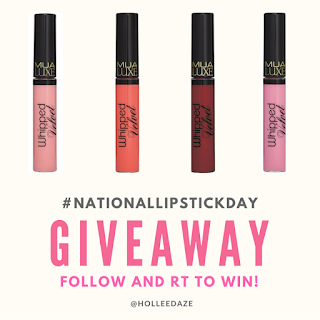 If ever I needed to have an excuse to run a giveaway, National Lipstick Day is it! 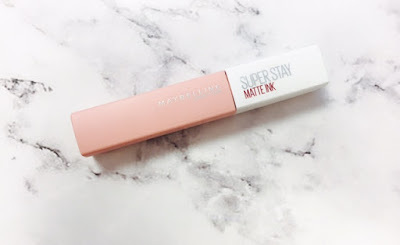 I have four MUA Cosmetics, Whipped Velvet Liquid Lipsticks to giveaway to one lucky winner. The colours include: Chi Chi, Rococo, Majestic & Hedonic. I personally love the formulas of these lipsticks and they're not drying on the lips. 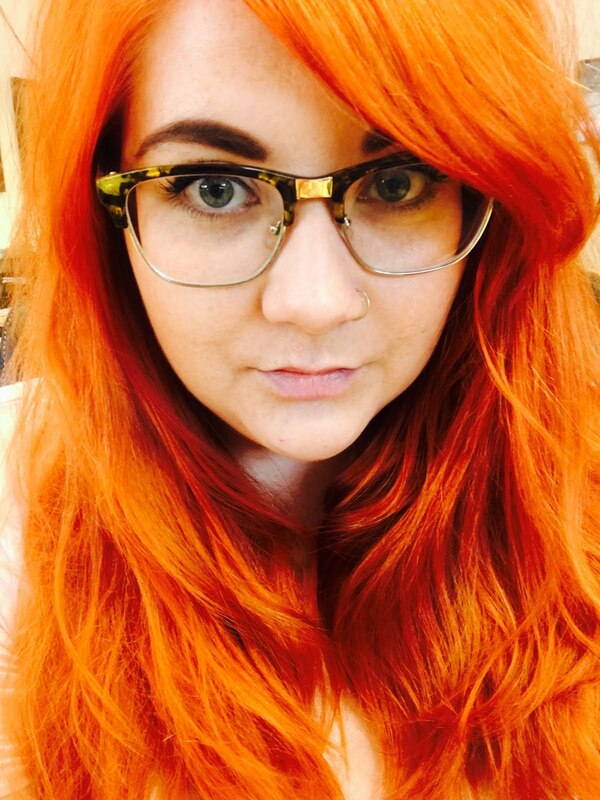 They look beautiful on and are really nice to use. In order to win the competition you MUST be a UK resident (sorry, if you're not!) and to enter you have to FOLLOW and RT the pinned tweet on my Twitter page here. The winner will be picked at random and told via DM in 2 weeks from today (12/08/16).